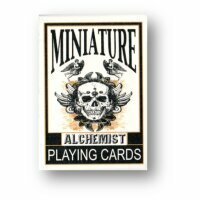 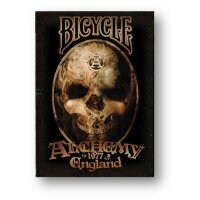 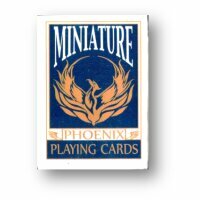 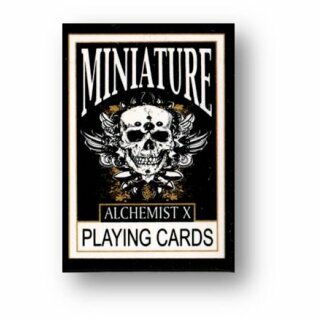 The Alchemist miniature deck is an original design created by graphics designer and magician Stephen Rooks and expertly printed onto plastic coated playing card paper. 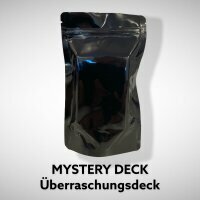 The courts have beautiful gold accents on a black face. 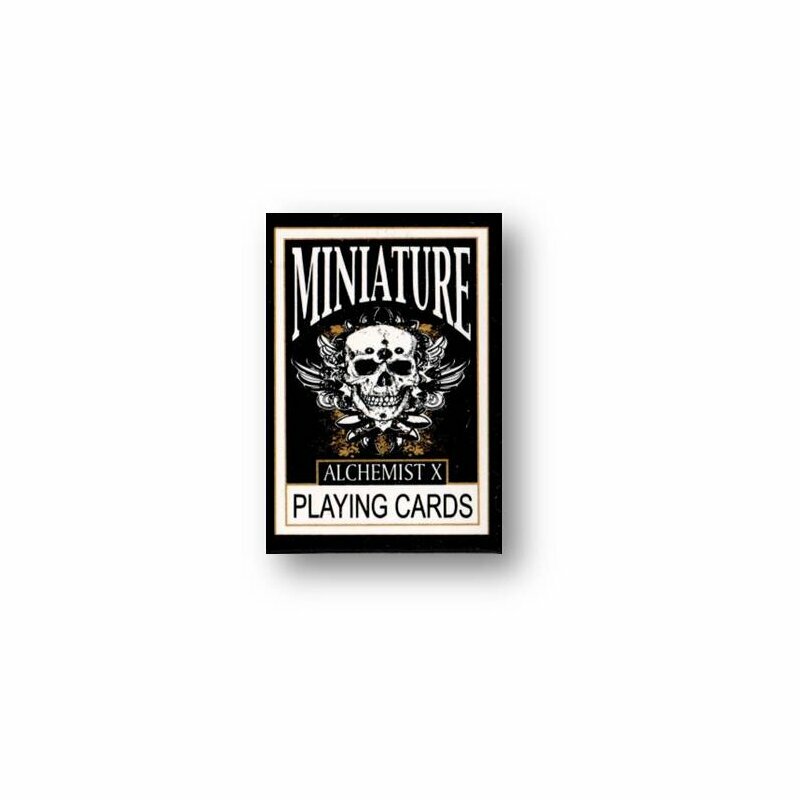 The back is in gold on black.